Counterfeiters are getting smarter and more sophisticated, finding more intelligent ways to infiltrate the supply chain. To address this growing threat, various anti-counterfeiting measures are being implemented around the globe, including serialisation. Serialisation is the system of tracking, tracing and verifying products via unique identification codes. Essentra understands the challenges and increased threats posed by counterfeiting and have designed a range of serialised carton and label solutions designed to maximise security and traceability of your products. 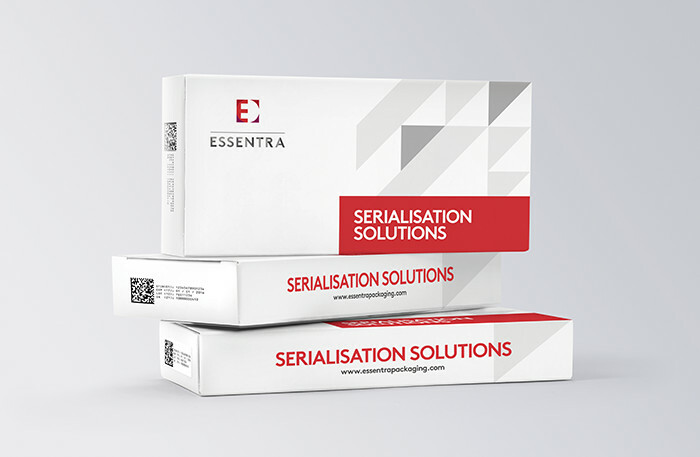 Essentra digitally prints unique item-level serialisation from externally supplied data, negating the need for customers to set up and manage print in-house. Quality control ensures the correct and appropriate data management system serialisations are printed without duplication, with post-print checks to confirm readability. Used serialisations are recorded and a report provided to satisfy the downstream data management requirement of our customers. Download our Serialised Carton Label Solutions brochure for more information about our capabilities and solutions. We supply a range of self-adhesive labels on a roll for automated high-speed application. Our leaflets come in a range of sizes and different formats: folded, flat and on-roll. Essentra manufactures cartons for a variety of industries, incorporating a wide range of styles, designs and print finishes. We provide printed primary packaging capability, which includes features such as child resistance and multicolour print to fulfil the blister pack needs of our customers.